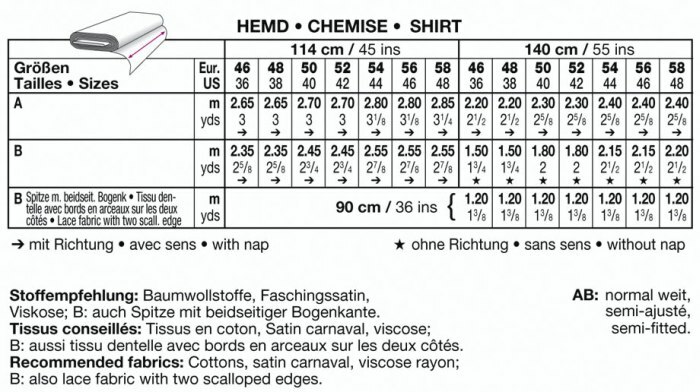 This shirt sewing pattern is the basis for many different ideas. 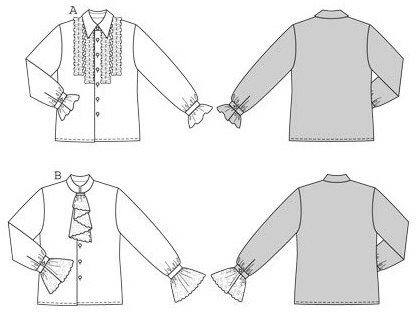 Shirt A with collar and ruffles could be styled as hippie or pirate, depending on the fabric. 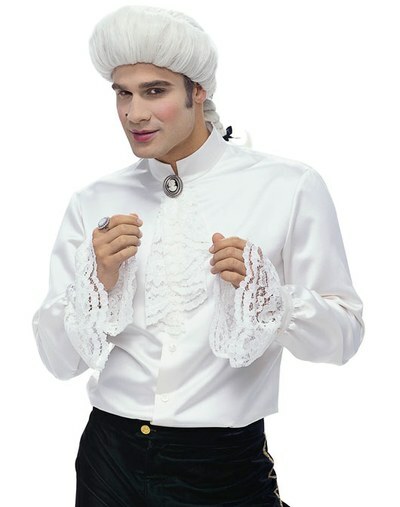 Shirt B has an upright collar and jabot, just the right outfit for an Amadeus Mozart or a Casanova! You’ll surely dream up some other possibilities too!